Ricardo Marrero, Santana, Donald Byrd, Leon Huff, The Foreign Exchange and more. 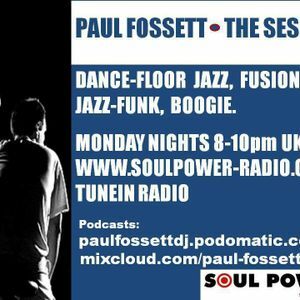 Part of the Monday Night Jazz Club on Soulpower. Featuring 2 hours of quality dance-floor Jazz, Fusion and Jazz-Funk. Live show Monday nights 8-10pm GMT.